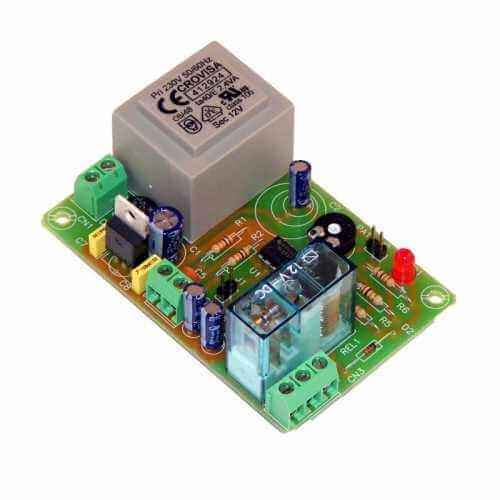 230Vac powered 2 to 45 minute delay timer module with a mains rated relay output. When activated the relay turns on for the user-set delay period. The delay period is adjustable from 2 to 45 minutes using the onboard potentiometers (header pins allow the use of user-supplied external potentiometers if required). An LED indicates that the timer is in operation. Current Consumption 30mA min. - 85mA max.